Set amidst the curvilinear rice fields of Umalas in the Kerobokan area, this house was built “as a tribute to Indonesian art and architecture”. The idea was to produce something that was so particular to the locale that it couldn’t possibly have been constructed anywhere else. Comprising a variety of buildings dotted around a spacious 4,300-square-metre (5,140 sq-yard) plot, the architecture is vernacular in style. 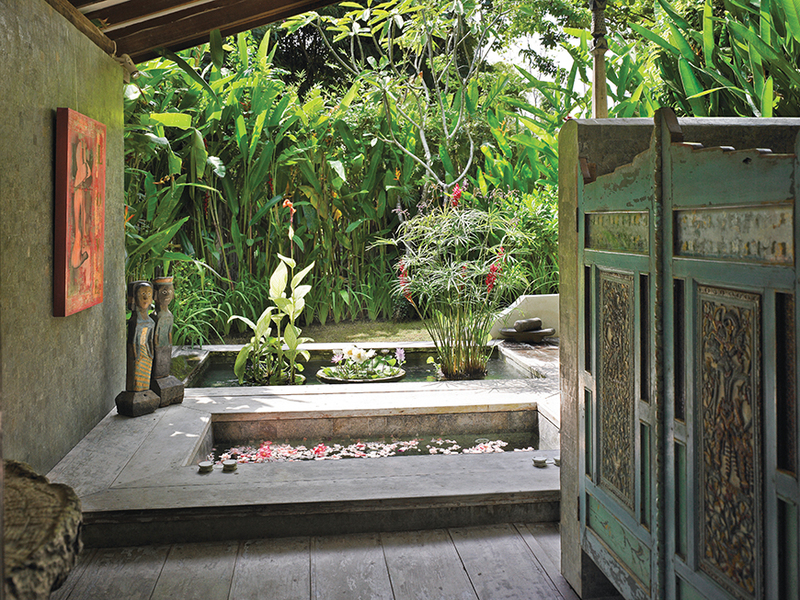 In addition to the main house, there is a Sumatran barn that doubles up as a poolside pavilion, a Javanese joglo that serves as a kitchen/ dining area, a Balinese bale gede that is used as a relaxation unit, and an entire merchant’s house from Aceh that is at least 150 years old. It.…also has spacious and spectacular guest quarters. If this sounds somewhat anchored in the past-it isn’t. All are set within a gently undulating expanse of lawn, and all have been reassembled with modern convenience in mind. Twentyfirst century components include a curvy swimming pool, whirlpool and a modern kitchen …. In addition, the art collections aren’t displayed in glass cases; rather, they are placed in key strategic positions so as best to show off their unique characteristics. Careful space and décor planning sees a contemporary console matched with antique masks, a single carved door taking centre stage in a room, and colours combined in unusual and interesting ways. Elsewhere, the joglo’s white-washed and brown painted soaring roof results in a contemporary-style geometric pattern, while the colour palette of white, brown and green tones forms a delicate backdrop for a few key artworks. 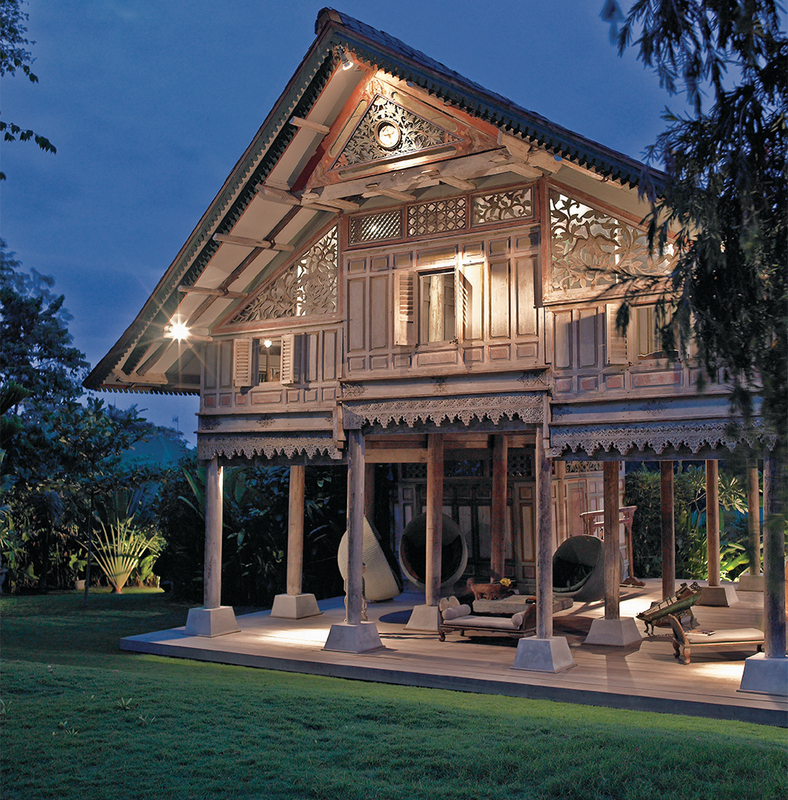 Although many people have built ethnic-style homes in Bali’s rice fields, not many have managed to produce estates with such panache. 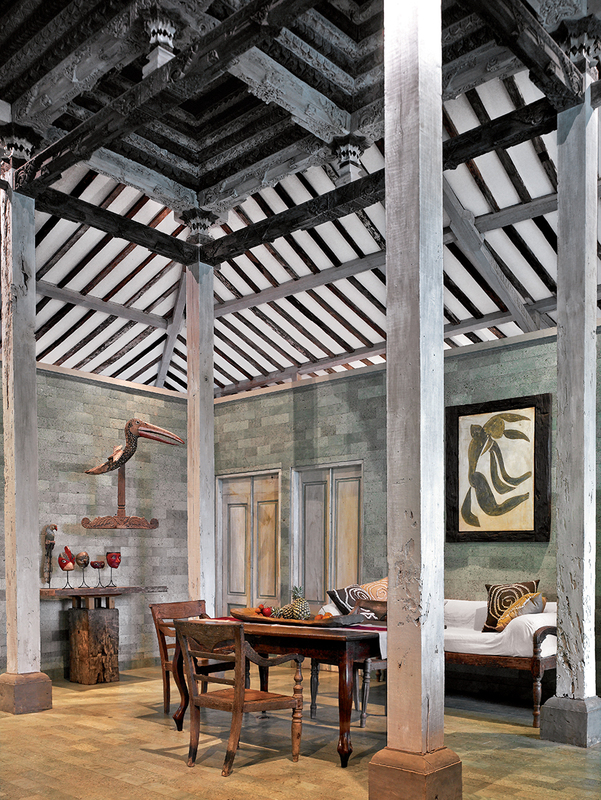 This one is simultaneously an enduring acknowledgement of Indonesia’s peoples and heritage – and a wonderful family home. This article was published in the June 2015 issue of Inspire Living Magazine. Download it here!